Daughters of two army officers have moved the Supreme Court seeking formulation of a policy to protect human rights of security forces personnel. Nineteen-year-old Preeti Kedar Gokhale and 20-year-old Kajal Mishra have sought direction to the Centre for formulation of a comprehensive policy to safeguard the rights of armed forces personnel against human rights violations by unruly mob or individuals attacking them during the discharge of their military duty. A bench headed by Chief Justice Ranjan Gogoi is scheduled to take up the matter on Monday. The plea filed by the two children has arrayed Union of India, Ministry of Defence, Jammu and Kashmir and National Human Rights Commission (NHRC) as parties. The petitioners said that they have approached the apex court being aggrieved and dissatisfied with the substantial inaction of the respondents in addressing various acts of human right violations of the army personnel, from the perpetrators of violence within the state, resulting in obstruction in the discharge of their duty as well as danger to their safety and security at the place of their deployment. The petitioners are daughters of army officials -- one serving and another retired. They are "greatly disturbed by the incidents of unruly and disruptive mobs" pelting stones at soldiers and army convoys in counter-insurgency area like Shopian in Jammu and Kashmir. "The petitioners are further disturbed by the troops in the Indian Army, having to suffer the ire of stone pelters, while they are discharging their duty of maintaining peace and security in the area of their deployment," the plea said. Referring to FIRs being lodged against the army personnel, the plea said that cases are lodged if any action in retaliation or in self-defence is taken against the perpetrators of stone pelting. "The petitioners have no grievance to any complaint/FIR being filed against any armed forces personnel, for any act done by them, which amounts to any criminal offence under the law for the time being in force. However, they are very much aggrieved by the fact that no similar action is taken against the perpetrators of violence, against the armed force personnel," it said. The petition said that it was shocking to note that a former chief minister of Jammu and Kashmir declaring in the legislative assembly that as many as 9,760 FIRs registered against the stone pelters would be withdrawn as they were first-time offenders. "It is pertinent to note that firstly, the state is not entitled to withdraw an FIR, once registered against a person without following the due process of law, as provided in the CrPC/RPC; secondly, the complainant or the victim of the offence is entitled to prosecute the perpetrator of a crime against him," it said. The petition said that depriving the armed forces personnel of their right to prosecute a person, who has committed an offence against them, is a violation of their fundamental right to life and liberty, including the right to legal recourse. "Further, armed forces personnel are also derided of their basic human rights of defending themselves against assault and safeguarding their life and limb," it said. The petition said that the petitioners have made a complaint regarding human rights violation to the NHRC and had cited the specific instances but the commission had later transferred the complaint to the State Human Rights Commission (SHRC) of Jammu and Kashmir on the grounds of lack of jurisdiction. The petitioners sought setting aside of the order dated January 4 of the NHRC transferring the representation to the SHRC and direction to complete the probe of human rights violations of armed forces personnel. "There is no mechanism put in place, by the Centre or the State to deal with such brazen acts of human rights violation of the forces. The armed forces personnel is deployed in these disturbed areas, by orders of the respondents, to discharge their duties. As such, it is necessary that the respondent No. 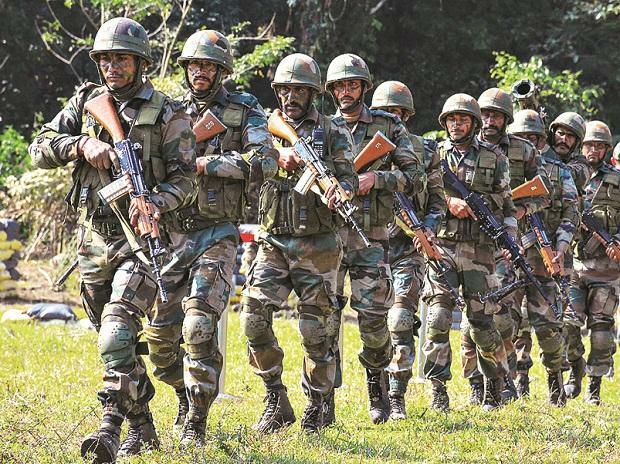 1 (Centre), puts in place a mechanism to deal with and enforce the security of its forces," the plea said.